Anna and Caro have been best friends since they met a child health clinic when their daughters were babies. Now, though, something terrible has happened. Anne’s daughter is dead, as the result of a terrible accident. And Caro was driving the car that claimed her life.Both women – and their families – are devastated, but now each must make sense of her own version of events. Blame is a gripping tale of two women and their unraveling of the events which lead to a terrible tragedy. Set over the two days that each is interviewed by police investigating the accident, as well as through each woman’s memories of their friendship and of the complicated, challenging events they have helped each other through over the past ten years. 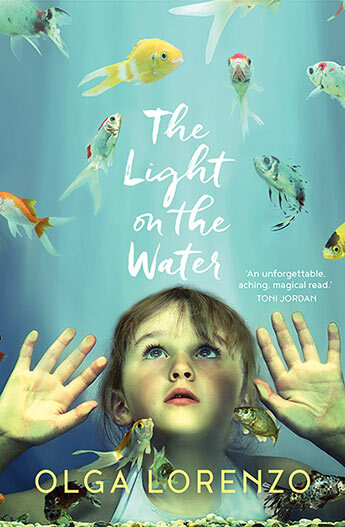 The issues explored – of loss, betrayal, drink-driving and the complexities of parenthood – are emotionally challenging, but the story is compelling, with the immediacy of the two-day time frame keeping pages turning. ‘Whooooeeeeee!’ I screamed as I jumped. ‘Paaaauuuullllllaaaaaa!’ The blades or me, who was the fastest? Nobody knew! Nobody even knew! I jumped again then I ran to the fence, touched it and ran back. Dad swiped at me. Mum came running, rocking like a rowboat on the sea, down the back step and across the gravel path, towards me and the mower and my shouting dad. ‘Wheeeeeeeeee!’ I screamed as I jumped, falling against the handle of the mower, tipping it on its side so its whirring silver blades glinted in the sun. I jumped again. Dad reached for me, but he went too close, too close! Jimmy Flick is different. He’s too much of everything – too fast, too slow, too unpredictable, and certainly too different. Only his mother, Paula, seems to be able to manage him. His big brother Robby is often absent, and his dad doesn’t know what to do with him. Paula calms him when his thoughts are too fast, and tries to explain the world to him. She also protects him from his father. But there are some things a mother can’t protect her child from and when that happens Jimmy has to find a way for himself. The Eye of the Sheep is a novel that stuns with its plot, wrenches with its emotions and leaves you satisfied, not because the ending is perfect but because the story has been put together perfectly. Jimmy’s first person narration takes the reader inside the confused world of a child who sees things differently, which gives some relief from subject matter which could be bleak, even overwhelming. Jimmy’s family is dysfunctional, with alcohol abuse and domestic violence part of his every day world. His take on life is heart-wrenchingly poignant and his honesty and openness to people around him mean that he always seems to have some slim sense of hope. This is not a feel good story. It is tough and in your face, but in such a way that you’ll be glad you read it.